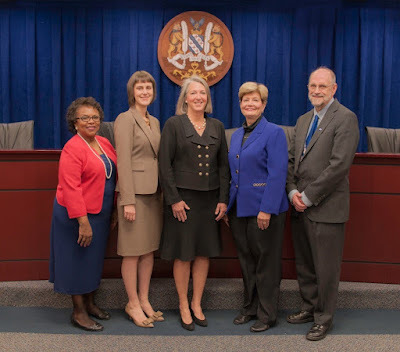 Amidst swirling rumors of the pending departure of several high-ranking City of Rockville employees, an updated Mayor & Council agenda shows another Executive Session scheduled for Monday night, March 7, at 6:30 PM. According to the agenda item, they will discuss "the appointment, employment, assignment, promotion, discipline, demotion, compensation, removal, resignation, or performance evaluation of the Acting City Clerk and City Attorney." The Mayor and Council let City Manager Barbara Matthews go last week, following a series of similar closed sessions. so...what happened? Are they gone or are they still there?